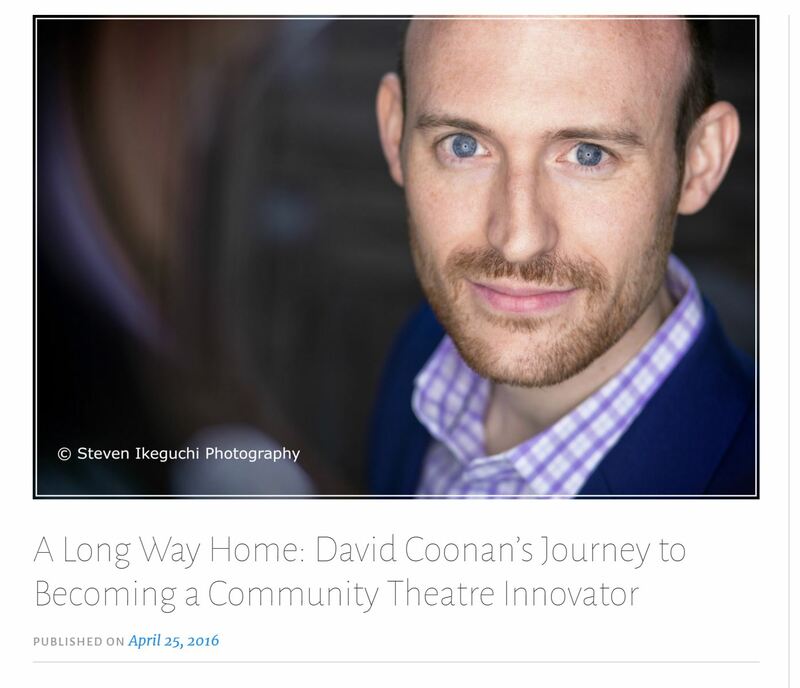 I’ve been doing theater for 20 years. That sounds impressive, but it’s not. I don’t do it professionally – never have – and there were a few years in there that I hardly did anything. So, 20 years, on and off. I didn’t go to school for theater, as in, I don’t have a degree in that discipline. I learned from observing, reading, and from doing it. My interest in theater goes all the way back to early high school, when most people discover the stage for the first time in the form of a high school musical (Little Shop of Horrors, in my case. I played the dentist, Orin). 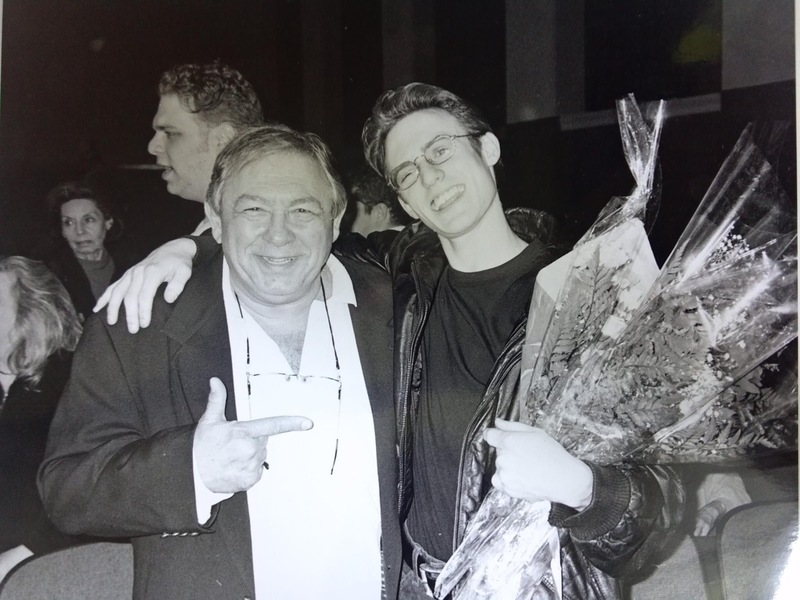 The reason that I continue to do it now is because of the motivation, knowledge, and inspiration that I received from my high school play director. Who, like all good teachers (in my opinion), continue to mentor and inspire long after graduation. My mentor/teacher, Sal, passed away in 2013. Strangely enough, he died the same day that one of my shows closed. A passing of the torch, maybe? I’m probably just reading too much into this. Second to my parents, he’s most responsible for helping to shape who I am. He had a teaching career that lasted decades. I don’t know the exact number of years. He was well known – some may say infamous – within the school and throughout the community. I’m certain there are a few of his former students that grit their teeth at the mere mention of his name. This was his reputation, and that reputation was what I was expecting to meet upon starting high school in 1995. Sal taught Global Studies, a social studies class that explored the world and its people. As a 13 year old, I was convinced this guy knew everything. I’m still convinced he knew everything; he was a walking almanac and depository of theatrical knowledge and history. But, his reputation certainly preceded him, and for a kid like me – short, skinny, shy – having a guy like Sal was scary. As a teacher, Sal had a rough exterior. He was an intense man. You didn’t mess with him. He had a huge personality, but one of his easiest lessons was learning that his compassion matched. He was intense because he cared. There’s no question I learned a lot about the world from his Global Studies class – most of the information I’ve retained, believe it or not, despite a poor grade on the final – but there was little in that curriculum that taught me how to be a part of the world and engage life (I don’t think the curriculum has changed much to that effect). However, his greatest lesson came when he stuck me in the middle of an empty stage and shined a spotlight in my face. In November of 1995, I approached him about wanting to be a part of that year’s show. I had seen the high school’s play the year before and felt inspired to be a part of something like that. I can’t explain exactly how I felt, or knew, but I just did. I asked about stage crew, run crew, and stage managing. Not acting. Following an informational meeting, he asked me to stay late with the guy who was cast as Seymour (the lead). He stuck a script in my hand and say “go”. I had no idea what I was doing. My “audition” was awkward and lacking any and all knowledge of how to create a character. To top it off, every other member of the cast and crew was standing outside the room listening. I found out afterward that some of these people were making comments about how I wouldn’t be able to handle the part. Of course, this is hearsay, but it motivated me nonetheless. Somehow, I got the part. I still don’t know how. Somehow, he saw something in me that I didn’t see. His talent was seeing talent. And it was at that point that I reluctantly agreed to appear on stage in Little Shop of Horrors. As I said earlier, I had no idea what I was doing. Acting was something totally foreign to me, though it felt natural. I was always a creative kid, and I enjoyed playing different characters around my house. Anytime we had company over, I would put on shows: magic shows, musical performances – even scene by scene recaps of famous movies (famous to an 8 year old) in which I played all of the characters. Even with babysitters I can remember using my entire house as the stage for The Wizard of Oz. I would assign parts to everyone, including myself, and “direct” the action. And believe it or not, this is the first time that I’ve ever made that connection. It took a guy like Sal to see that I had it in me and take the chance to hone my talent into something that could be used in an actual play. Until that point, I was just a shy kid with an imagination. Shy being the key word. No one thought I’d be able to transform from that person into a sadomasochistic, drug-addicted, chauvinistic dentist. I was my biggest critic. He was my biggest advocate. Fast forward. No need to get into the details about how it felt, because anyone reading this knows that feeling. We’ve all been there: the coughing of the crowd, the adrenaline rush, the spotlight hitting you for the first time, ever. Either it makes you or breaks you. Following that show, I realized a few things: suddenly, I wasn’t as shy anymore. In fact, I bordered on arrogant (talk about zero to sixty). I had a new group of friends. And, most importantly, I had a new way to express myself. Theater became less of a new school activity, and more of a craft. I began to see it as something worth studying. I wanted to get better and challenge myself. It was less about the school and social aspect, and more about the art. The stage and the audience were all that mattered for the next 3 years of high school. My grades may have suffered a bit. But, my true education happened on that stage. Without the experience of standing in a spotlight, exposed, with nowhere to hide, I’d still be that shy kid who never had the foresight to realize his own potential. As a teacher and director, Sal taught me self-confidence. He taught me the value of self-expression. He taught me public speaking. He correlated theater to life, and through theater and his direction, I learned how to live in the real world while playing in the fantasy world of the stage. Without real life, there is no theater. I learned the true value of art at a young age. Any performer that I’ve helped in the past and every performer I help in the future owes Sal a thank you. Without his help, I wouldn’t be able to help them. And with that, his legacy lives on.